The global demand for Atrial Fibrillation treatment options is emerging rapidly driven by consumption in major emerging markets. As more growth opportunities will turn up over the medium to long term future, a large number of companies are working on Atrial Fibrillation pipeline. Companies quickly adapting to the change and moving their products to advanced phases will evolve as top performers. However, challenges of completing clinical trials on schedules and inadequate financial support are holding some of the Atrial Fibrillation pipeline companies from advancing their products into Phase 3 or Phase 4. The H1- 2019 pipeline review report on Atrial Fibrillation pipeline is a comprehensive study on the candidates in development across different phases worldwide. This research study evaluates each of the pipeline products in terms of their current status, regulatory progress and expected phase completion date. 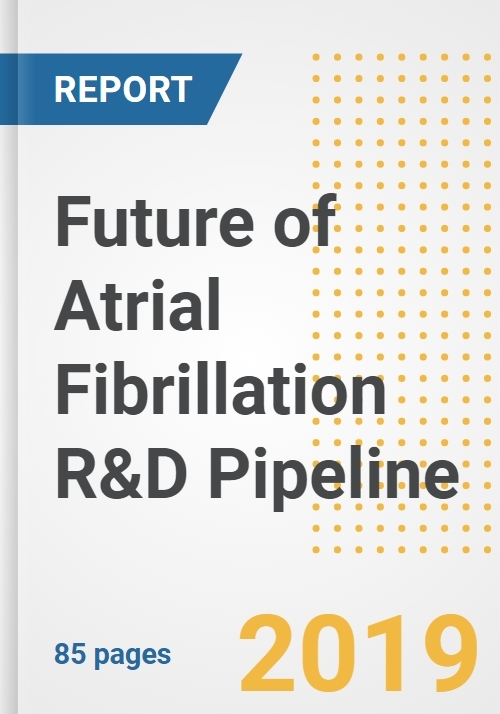 Focusing on the factors driving and challenging pipeline drug development, this strategic analysis review presents detailed analysis on all active Atrial Fibrillation pipeline compounds. The Atrial Fibrillation pipeline guide presents information on all active drugs currently being developed for Atrial Fibrillation. The research work provides details of active therapeutic candidates in different phases including discovery, research, pre-clinical, phase I, Phase II, Phase III and pre-registration phases. Details of current status, R&D progress and latest developments for every Atrial Fibrillation pipeline candidate are analyzed. Further, current phase of development, mechanism of drug action, special designations such as orphan drug status, fast track designation, grants awarded, etc are presented for all Atrial Fibrillation drug candidates. Drug development companies, collaborators, originating companies, license providers and universities participating in the Atrial Fibrillation product pipeline are provided. Company overview, snapshot and developments are provided for all participating companies. The report assists in identifying potential upcoming companies and drugs in Atrial Fibrillation pipeline market along with progress of each drug. It also enables users to formulate effective strategies to stay ahead of competition. The publisher has developed a robust methodology for assessing pharmaceutical drugs, market sizes and sound forecast tools. All our research reports are provided through intense and repetitive primary and secondary research methods. Further, these reports are validated with industry experts to ensure reliability in the current scenario. The report is presented in a user-friendly format and presents clear and actionable insights. An overview of Atrial Fibrillation disease including symptoms, causes, diagnosis and available treatment options is provided. The report will be delivered in 2 working days.